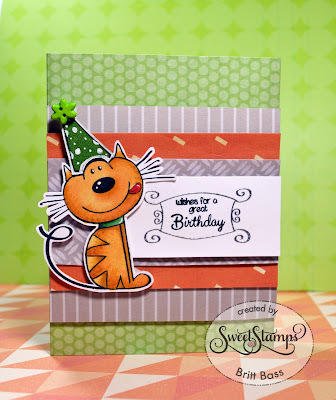 SweetStamps BLOG: Kitty Sweets Card! 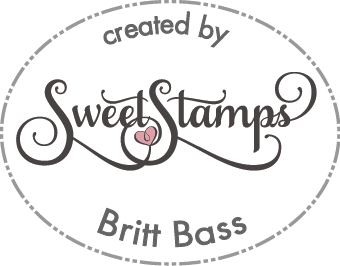 Hello, Britt Bass here to bring you a quick little post about a quick little card I made using Sweet Stamps' Kitty Sweets clear stamp set and Embossing Powder. First, I stamped my image with Memento Tuxedo Black ink and colored him with my Spectrum Noir alcohol markers and fussy cut him out. I wanted him to be wearing a little birthday hat, so I cut a triangle with a slightly rounded bottom out of a piece of patterned paper and outlined it with a black Memento marker to make it looked like it was stamped . I then colored around the black line with white gel pen - that gave the hat the same little white border as the cat. I attached the hat to my cat and added a button - cat complete! Finally, I attached my cat to the card base and began working on my sentiment. 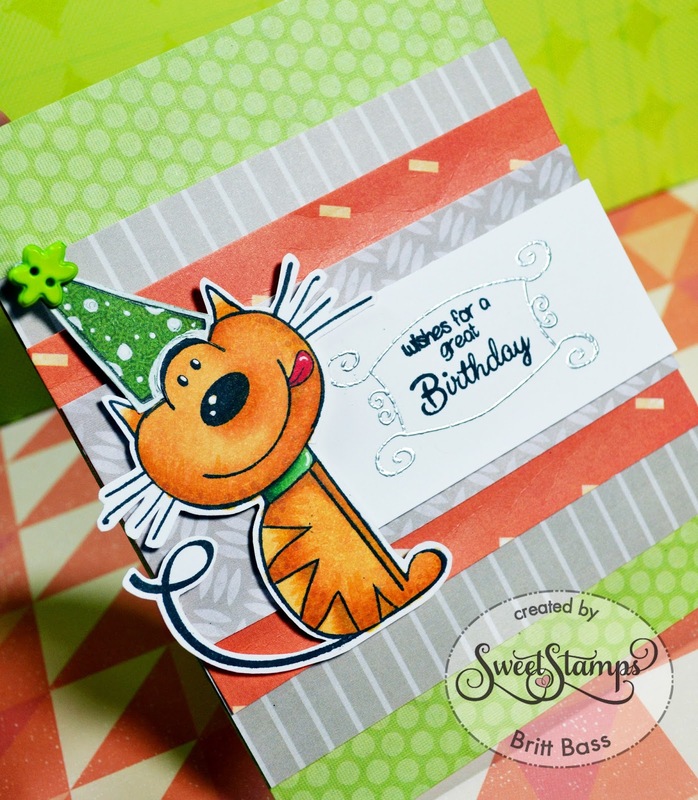 I stamped the frame and the "Wishes for a great Birthday" sentiment and embossed them using Silver Fine Detail embossing powder and Black Fine Detail embossing powder - respectively. Once the senimtent was attached - the card was done! 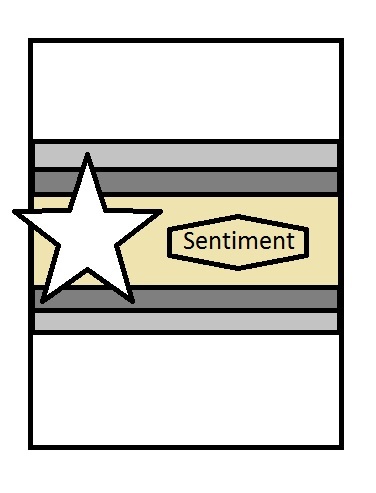 I know that you all enjoyed the sketch I added to one of my posts last month, so I wanted to give you one for this card as well! 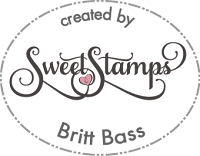 Now, don't forget to stop by Sweet Stamps for all your supplies this month! This is so adorable. Love the layout!